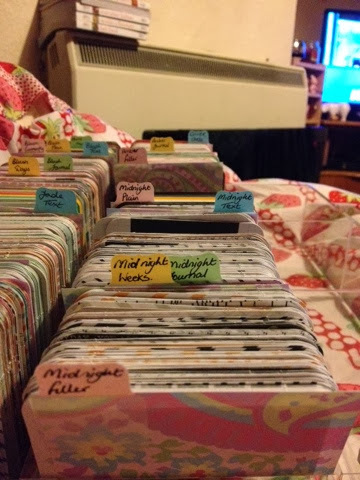 This evening I've finally finished organising my prohect life 3x4 cards. 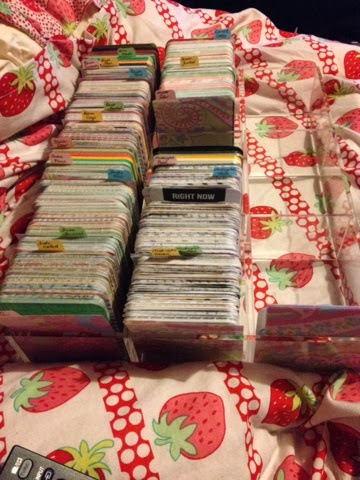 I've got this divider from muji which fits them perfectly and allows me to see all the cards. 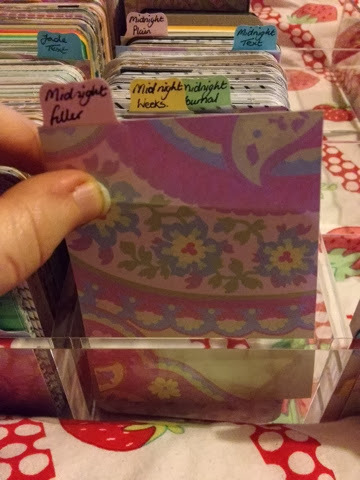 There was a recent post in a Facebook group I'm in (Project Lifers) that suggested turning 1/2 the cards over so it's easier to see the other side. I've done this and organised it into categories. Other than my old kit (Amber) I have 5 categories in every collection. The only cards I haven't put into this organiser are the seasons mini kit and the holidays mini kit. I intend to keep those together so I can see them easier. 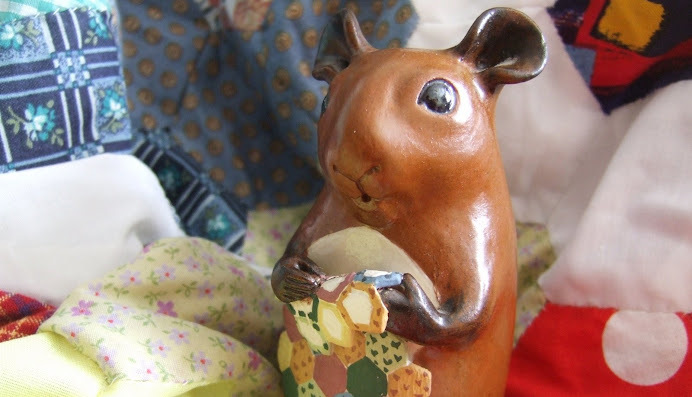 Il leave you with some more photos. 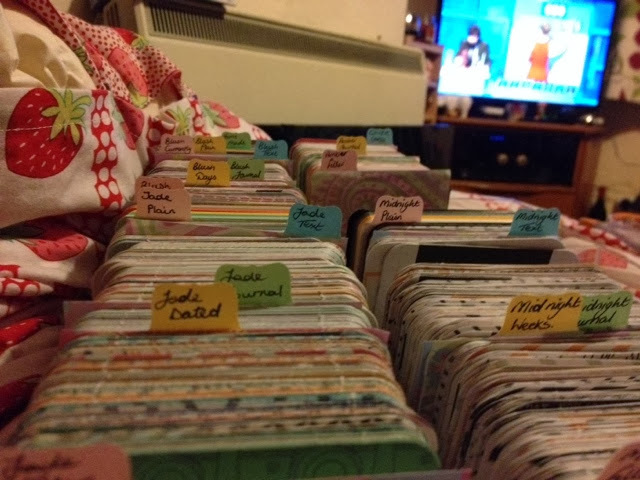 The dividers were made from some old scrapbook paper that I'm either not a massive fan of or have a lot of the same. And the Martha Stewart sticky tabs. Written on each is the kit name and a word about what's behind them.